Longevity:Never Wears Out. Never Expires. Lasts Forever. Uses::Attach to items you want to find in the dark i.e. keys, kids, flashlight, BOBs, EDCs, 72 hour kits, etc. 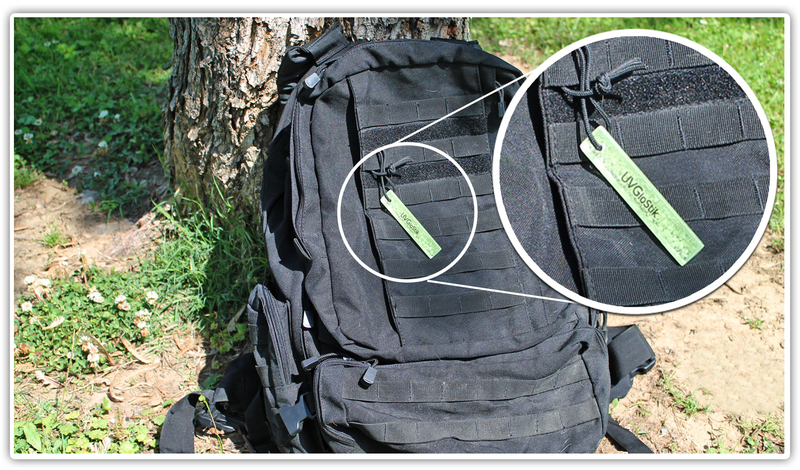 DIY:Can be Cut/Drilled for DIY zipper pulls, trail markers, guy line markers, and more. *:Non-Toxic. Non-Radioactive. MADE IN THE USA. Great for 72 hour kits! What is it? 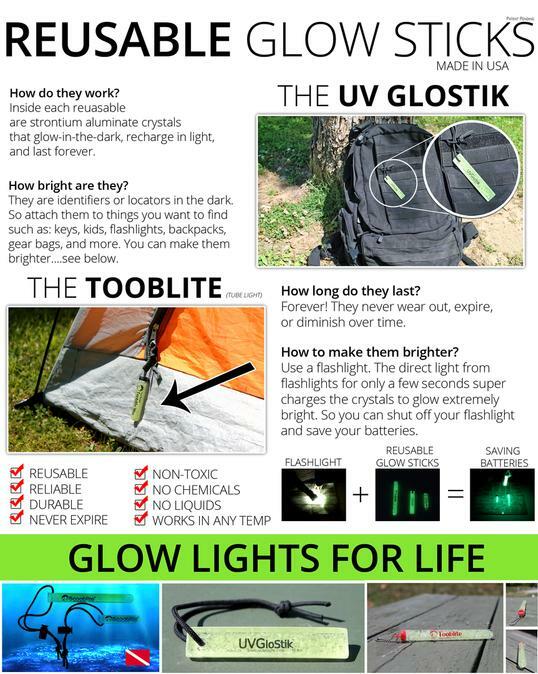 UV GloStiks (U V Glow Sticks) are reusable glow sticks. They glow as identifiers in the darkness all night long, recharge from any light source, and are reusable over and over again forever. They never wear out or degrade over the years. Absolutely love this Glow stick. 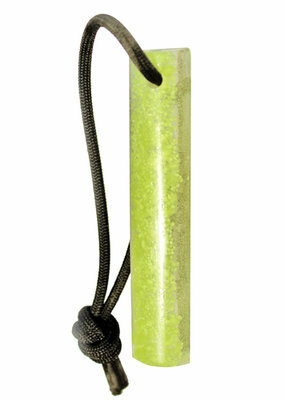 Leave it out in the sun while hiking or quickly charge with a flashlight and you have a nightlight for the tent. When at home i keep one strung up inside the nightstand lamp as a nightlight/locator to help move around in the dark without turning lights on. They also work great on the kids backpacks to help pick them out in the dark at the zoo or amusement parks when there are dozens of other kids milling around. Excellent addition to any kit. Finding more uses every day for these. Bought it at the NRA annual meeting a few years ago, It still glows. These work great they put out lots of light. They can be used for so many things. Very tough don't worry about dropping them.